The mysterious virus known as EV-D68 had spread across the Midwest at a rapid rate. Many children had been hospitalized with the virus, about 475 in Kansas City alone, and there is no known vaccine to lessen the effects of the virus or protect those that had yet to acquire it. EV-D68 had created an outbreak in Colorado, Missouri, Utah, Kansas, Illinois, Ohio, and four more states in the Midwest. The symptoms can mimic those of the influenza virus, but can have a much more dire impact on those that fall ill. Dr. Mary Anne Jackson, the hospital’s division director for infectious disease shared her concern with CNN. Although there is no known vaccine for the virus, and the scope which it will reach is also unknown, those that BECAME INFECTED are following a COMMON THEME. They have ALL BEEN VACCINATED with the MMR vaccines, influenza vaccines, and polio vaccines. Of course, many children in the United States have been vaccinated, and most are required to be vaccinated in order to enter school. However, it is interesting to note that the illness is not occurring, yet, in children that have not been vaccinated. 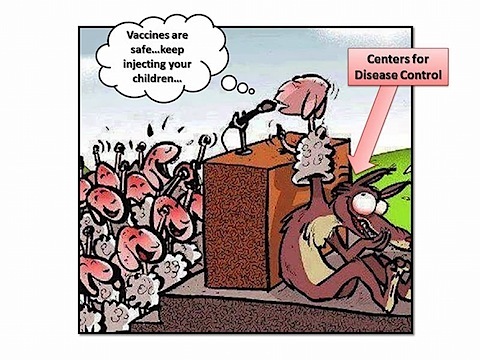 William Shaffner, head of Department of Preventive Medicine at Vanderbilt University, has not shared that EV-D68 has only infected vaccinated children, but does share his concern about the virus. There is no doubt that the outbreak of EV-D68 quite scary, and may be more dangerous that the RSV virus outbreak of the late 1990’s. Many parents are wondering what they can do to keep their children protected and shield them from contracting the virus. CNN shared the following information to help keep your kids safe. Some reporting agencies are also recommending the use of Vitamin D, a natural immune system booster, to help strengthen the immune system prior to the virus reaching individuals. So far, states that are surrounded by the virus, such as Indiana and Michigan, seem to be safe from the outbreak. Only time will tell if it will continue to spread, or eventually die off like the avian flu did. This page contains a single entry by Archimede published on April 27, 2015 10:23 AM. Vaccines was the previous entry in this blog. First They Came for the Anti-Vaxxers is the next entry in this blog.